Colour Vibe: Lilac Dream conditioning shampoo-in colour. Use in the shower like a normal shampoo and rinse off after 5 minutes to transform your hair colour. A conditioning shampoo-in colour to refresh, revive or transform your hair colour. Lasting up to 3 washes, Colour Vibe allows you to change your colour to suit your mood. 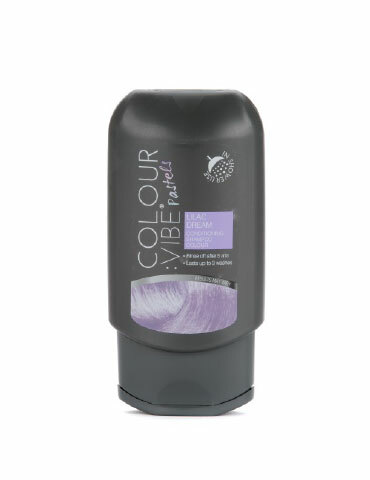 Vibe Lilac Dream will not lighten hair tone. How to use: Apply to wet hair, using as much as you would a normal shampoo. Leave for 5 minutes and then rinse clear. For best results comb through hair evenly once applied. Leave on longer for a stronger tone*. * We recommend conducting a strand test before use to determine your desired tone. Don't forget to perform a patch test 48 hours before use. Dab a small dot of Colour Vibe behind your ear, or in the crook of your elbow and leave for 48 hours to ensure no reaction occurs. 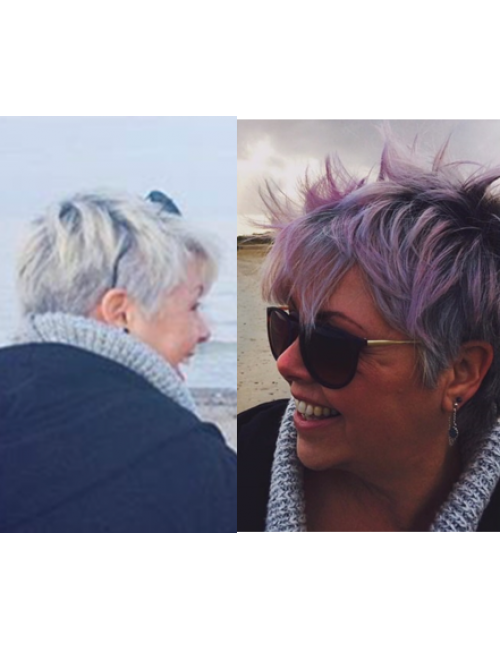 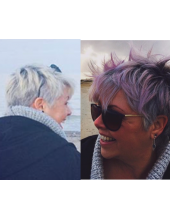 ** Colour intensity and longevity will depend on the base colour and condition of your hair, length of time the colour is left on for, previous treatments and colours.